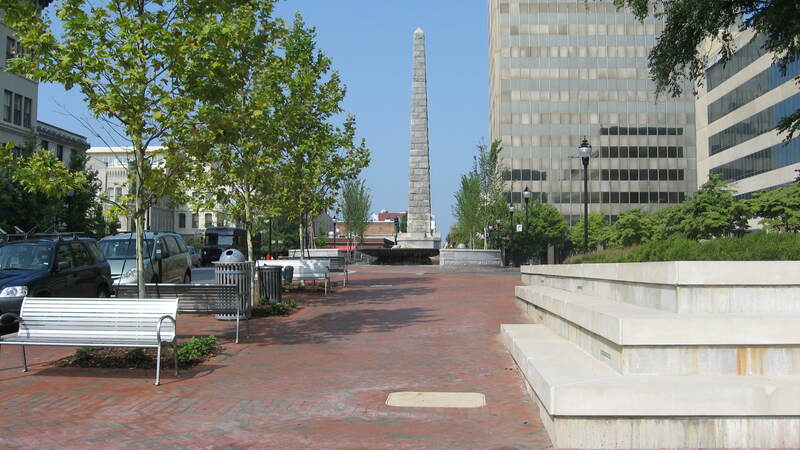 Have you been thinking about searching for homes in the downtown area of Asheville NC? Downtown homes here in the Asheville North Carolina area are more affordable and available than most would think. Call Green Mountain Realty today at 828.215.9064 for downtown Asheville area homes, land or real estate. Stunning modern home in Town Mountain Preserve proposed by Duermit Custom Homes. This perfectly designed floorplan highlights the mountain views from every room. Features include master bedroom with dual baths, office, and laundry, on the main level. Large deck with outdoor gas fireplace for year-round enjoyment. This 2.87 acre mountain lot the exclusive gated mountain community, Town Mountain Preserve, is just 2.5 miles from downtown Asheville and 5 minutes from shopping, golfing and restaurants. The community offers underground utilities, two gated entrances, a community park, and no Asheville city taxes. I have a question about the property at 48 Bartrams Walk Drive Asheville NC 28804 (#3486781). I would like to schedule a visit for the property at 48 Bartrams Walk Drive Asheville NC 28804 (#3486781). Ideal Town Mountain location with excellent mountain views, offering quick access to vibrant downtown Asheville and Blue Ridge Parkway. Quiet neighborhood affords privacy, yet a wonderful sense of community. Open and welcoming floor plan with conscious architectural features and finishes throughout. Cathedral-like entryway flows into expansive living room w/woodburning fireplace wrapped in steel. Intimate light-filled spaces unfold to all sides. Master suite on main level w/gas fireplace adjoins screened sleeping porch to invite the night sky indoors. Lower level apartment with separate entry, full kitchen, and in-unit washer/dryer for family and guests - or excellent opportunity for short or long term rental. Many porches, decks, and outdoor venues provide space for solitude or grand entertaining. Interact with thoughtful garden landscapes that surround and captivate. Covered and heated in-ground pool for seasonal or year-round enjoyment. I have a question about the property at 400 Sunrise Summit Asheville NC 28804 (#3462087). I would like to schedule a visit for the property at 400 Sunrise Summit Asheville NC 28804 (#3462087). I have a question about the property at 9 Skyview Place Asheville NC 28804 (#3449398). I would like to schedule a visit for the property at 9 Skyview Place Asheville NC 28804 (#3449398). Complemented by its modern conveniences and thoughtful floor plan, this timeless French Country residence is centrally located inside the gated community of The Ramble at Biltmore Forest; Asheville's most unique private luxury community. Features include a two-story great room with a floor-to-ceiling stone and stucco fireplace, large kitchen with granite counters, custom cabinetry, and center island/breakfast bar. Master on main with 15', triple-coffered ceiling, and a lower level with family/recreation room, exercise room, and a single-car garage in addition to the rear-load, attached two-car garage on the main level. The Ramble has been carefully planned by to provide an active and welcoming environment, complete with a wellness center, parks and trails, and community activities. The Ramble's location is ideal - only 10 minutes from downtown Asheville and with direct access to Biltmore Park Town Square's shops, restaurants and entertainment via a private south gate. I have a question about the property at 28 Beadle Lane Asheville NC 28803 (#3404712). I would like to schedule a visit for the property at 28 Beadle Lane Asheville NC 28803 (#3404712). Exceptionally light filled open floor plan provides for an excellent home for entertaining especially with it being sited on a 2.94 acre lot in Biltmore Forest which is positioned on a cul-de-sac bordering the Biltmore Estate! Talk about a location which is special, fun, and a safe place to raise your kids as well! Enjoy the views of a shimmering creek and the sounds of nature from almost 1200 square feet of decks which makes this property feel as if you are in the country, but in reality, just minutes from Biltmore Village and downtown. Extensively remodeled with 10-14 ft ceilings, tons of light, huge gourmet kitchen with Butler's pantry and walk-in pantry, wonderful master bath, three beautiful dry stacked fireplaces, and tons of storage. Basement offers great in-law suite potential and office in basement could be a 5th bedroom as well. Owner is NC licensed real estate agent. I have a question about the property at 85 Forest Road Asheville NC 28803 (#3383131). I would like to schedule a visit for the property at 85 Forest Road Asheville NC 28803 (#3383131). Asheville, NC1 Sunset Parkway, Unit Residence "A"
The professional restoration is complete on this condo conversion. The grand floor plan includes: chef's kitchen, formal dining and living rooms, master suite with private rooftop deck, slate roof, and extensive porches. A 3rd floor apt is ideal as a nannie suite. This location, at the head of the Charlotte Street Neighborhood Corridor, makes for that ideal Walkable Community just blocks from Downtown in desirable Grove Park. A unique opportunity for the discerning historic aficionado. I have a question about the property at 1 Sunset Parkway Asheville NC 28801 (#3387402). I would like to schedule a visit for the property at 1 Sunset Parkway Asheville NC 28801 (#3387402).